North Korea has reportedly agreed to suspend its uranium enrichment program. Will it stick to the deal? The recent rounds of negotiations between the United States and North Korea, hosted in Beijing, had seemed to go well. But according to news this morning they may gone even better than many had hoped for, with Pyongyang reportedly having agreed to suspend uranium enrichment. The negotiations took place on February 23-24, and agreement also appears to have been reached on a moratorium on nuclear and long-range missile tests. U.S. State Department spokeswoman Victoria Nuland said Wednesday that North Korea had also apparently consented to International Atomic Energy inspectors being allowed to confirm the moratorium on uranium enrichment and confirm disablement of its nuclear reactor at Yongbyon. “To improve the atmosphere for dialogue and demonstrate its commitment to denuclearization, the DPRK has agreed to implement a moratorium on long-range missile launches, nuclear tests, and nuclear activities at Yongbyon, including uranium enrichment activities,” the State Department said in a statement. The State Department added the United States was now prepared to conclude details of a proposed food aid package, with 240,000 metric tons of nutritional assistance reportedly set to be sent to North Korea, with the possibility of more aid to be agreed upon based on need. “The United States reaffirms that it does not have hostile intent toward the DPRK and is prepared to take steps to improve our bilateral relationship in the spirit of mutual respect for sovereignty and equality,” the statement said. Such a breakthrough in tensions between the United States and its allies with North Korea should be applauded. Unfortunately, though, history suggests such progress is often fleeting. 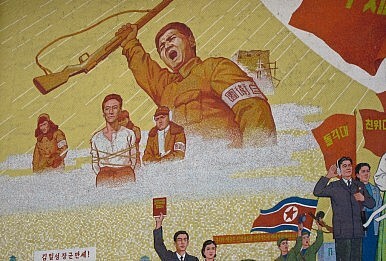 North Korea has made wide-ranging promises in the past only to go on to break them. Still, there’s an important difference this time – North Korea has a new leader in Kim Jung-un. What role he may have played in North Korea’s apparent change of heart is unclear, but the next few weeks and months will undoubtedly make much clearer if North Korea is finally serious about following through on its promises. Trump's failure to coordinate with China before attempting North Korea diplomacy doomed the endeavor from the start.